Ignite your brand with the power of video! Ignite your brand and bring it to life with engaging, intelligent video advertising. Driven by the power of visual elements and artistic flair, our experts are pros in determining how best to highlight your brand through footage that natural, subtle and enticing. Be it to elevate internal training and operations, or increase brand awareness or to create corporate profiling – our talented team are well-versed in working towards all approaches. From small businesses through to large-scale corporations, we’re the go to for social content creation and video advertising that packs a punch when you need those extra eyes on your messages. Turn heads with engaging visuals that drive your bottom line and spark your brand’s presence – both online and offline. You can’t garner a powerful video creation without having the vision and insight to do it. Over the years, we’ve become experts in recognising the best approach to each project we’re given, allowing us to be creative partners and extension to businesses who need support in the area. From initial brainstorming through to production and launch – we’ll put your brand in a visual world that you’d never dreamt of seeing it in before. We’re proud of our eye for detail, so let us show you what we can do for your brand. If you’ve been going in blind with your objectives until now, it’s likely you’re targeting the wrong audience entirely and not seeing results. Instead of wasting hard-earned money focusing on prospects that won’t convert, utilise a video advertising agency that helps businesses across Australia – including Sydney Melbourne, Brisbane and other major capital cities – to hone in on those who are ready to engage. If you’re having trouble being seen, or just not getting the right eyes on your key products and services, visual concepts can help power up your brand more than any other avenue. Equip your brand’s toolbox with video advertising that charges up your biggest offerings, making it hard for your audience to resist what you’ve got on the table. Based in Brisbane, our studio forms part of tprmedia’s suite of digital marketing services, offering an end-to-end solution for brands that are looking to influence their strategy with something that has an added edge. Backed by many years of experience in impressive video advertising services (for both digital and traditional contexts) our team has a knack for inspirational results that inspire, engage and compel audiences – no matter the challenge at hand. We wouldn’t expect you to opt for video solutions from an agency that had sub-par resources to take care of the project. That’s why we’re happy to flaunt our stuff: a full-suite studio that allows us to complete your brief – be it on the road, or in-house at our Brisbane agency. Turn your little brainstormed concepts into full-blown, live-action realities. While you may have plenty of adventures, highlights and messages to blast out to your audience, finding the right way to do it in the digital era can be tricky business. With 55% of online users watching videos online every single day, it’s crucial to take advantage of a marketing channel that’s unmatched by any other avenue. From YouTube video advertising through to other visual concepts – we can help you leverage your brand presence to new heights, using this powerful field as the baseline. You have a higher potential of ‘going viral’. While the written word is great, not everyone likes to read sentence after sentence in their feed. 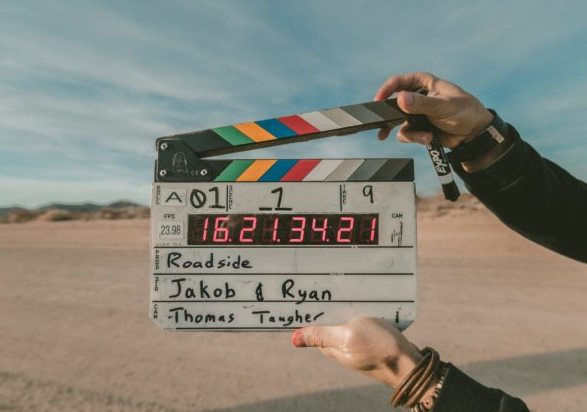 When putting together social content creation for your brand, consider that users are far more likely to stop and pay attention to what you’ve got to say when you turn their heads through video advertising. Put the cherry on top with strategies that have your videos seen in the right place and the right time, and we’ll give you a winning combination that helps you further your return on investment. If you’d like to find out more about our social content creation services and video advertising solutions, get in touch with the tprmedia team on 1800 896 599. We’ll meet with you to discuss your brief, give transparent insights and guidance, and map out the best way to give you the result you’re after. We like a challenge, so show us what you’ve got to put our skills to the test.